Our holiday workshops take place in selected beautiful seminar houses and are lovingly and very thoughtfully organized. In the sensitive atmosphere of the seminars, you connect with your innermost life energy. In a relaxed environment, you dive into a world that allows you to live, which is your deeper longing! Almost all participants take the seminar house The Other Paradise, located in Koroni on the Peloponnese, the green peninsula in the south of Greece quickly to their hearts – and they keep coming back. 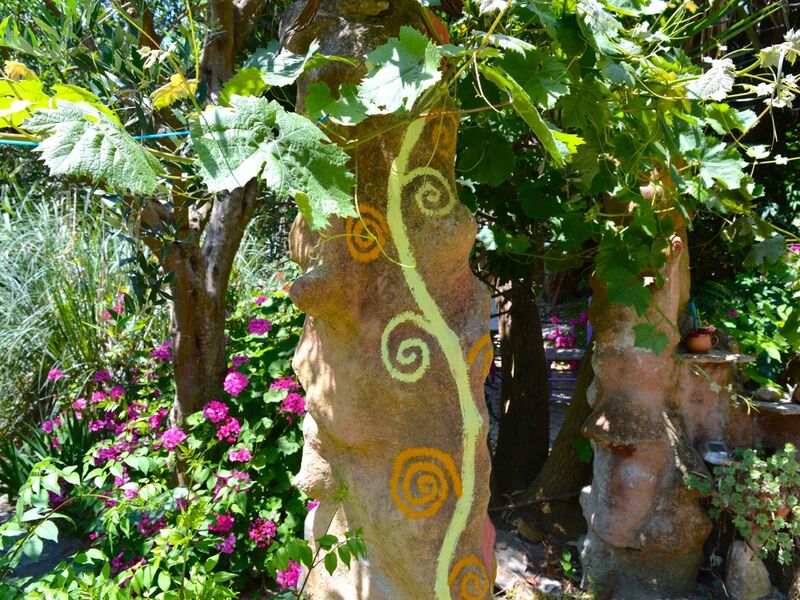 It is a small jungle-like paradise off the beaten track and beautifully located on the Mediterranean. The lovingly and creatively designed campus gives us the impression of having arrived in another world. It invites us to reconnect with our original nature. The long sandy beach is in its natural state and free of tourists. Even giant turtles still come on land at night because there is no noise or light. On the beach you can practice yoga and meditation in the morning or swim at night and dance to the waves. The surf school next door offers the possibility to rent a surfboard or kayak and to float on the waves or to sail with the catamaran. 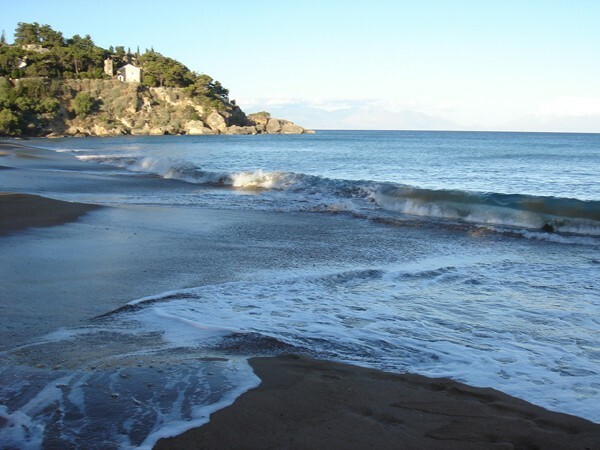 The small village of Koroni can be reached in a half-hour walk along the beach. There you can comfortably go shopping, visit the castle or enjoy the delicious food in the evening in typical Greek restaurants. As there is no public road to cause a disturbance, the apartment houses situated right on the ocean are very quiet. The apartments are simple and clean and have everything you need. They each have two rooms, a kitchen and bathroom with a shower. All rooms have either a terrace with a sea view or a small balcony to the side overlooking the olive groves. In the attic there is a larger studio apartment suitable for 2-4 persons, with a wonderful balcony, a living room and a separate bedroom, kitchen and private bathroom. As a workshop participant we receive a reduced price and it makes it possible to participate in several seminars in a row as the accommodation is only € 15 in a double room or € 25 in a single room. For the final cleaning we charge once € 20 per person. Bed linen is provided. Please bring towels for the beach. You are welcome to extend for a few days beach holiday after the seminar to enjoy your new Being. If you arrive earlier or you would like to stay longer, please let us know before your flight booking so that we can clarify the availability and reserve the rooms for you. During the two Shiva and Shakti seminars, Uta will spoil us three times per week with her excellent vegetarian cooking skills. The food costs € 60 for lunch and dinner per seminar and is obligatory. This gives extra time to spontaneously do something with other participants or just relax by the sea. In each of the apartments there is a furnished kitchen with stove and fridge and we will have self-catering. Often several people cook together and the food costs are low in Greece. In the village there is a health food store and a weekly vegetable market with fresh fruits and all kinds of vegetables. If you do not want to cook during your holidays, you can pre-order by phone at a Greek restaurant and they deliver the food directly to the garden gate. There are two Greek restaurants a beach walk along the sea. The nearest airport is Kalamata, but you will find most flights for around € 230 to Athens. We will send you a shared taxi to the airport, which will take you to Koroni for € 70 per person or you can rent a car; we assist you with the flights and the shared taxis. Of course you can also drive with your car via Italy and by ferry from Trieste, Venice, Ancona, Bari, Brindisi to Patras, from there it is still about 250 km or four hours to Koroni. The Other Paradise is located in the middle of Zaga Beach and you follow the signs to the sailing and surfing school. The workshop times leave you enough space for an individual leisure time and we will spend a lot of time in nature and on the beach. Often, spontaneous activities together with other workshop participants, and reflect and express the intimate atmosphere of the workshop. Between the seminars we offer vision quest days to the Polylimnio Waterfalls and Half-moon Beach as a day trip. This is an opportunity to enjoy unique experiences in nature with other participants. We will organize some events, go to restaurants or the ice cream parlor, visit the garden of the Greek monastery and the old castle and enjoy a delicious buffet in a mountain tavern at sunset with wonderful sea-view. In our Photogallery you find pictures from previous workshops and accommodations.